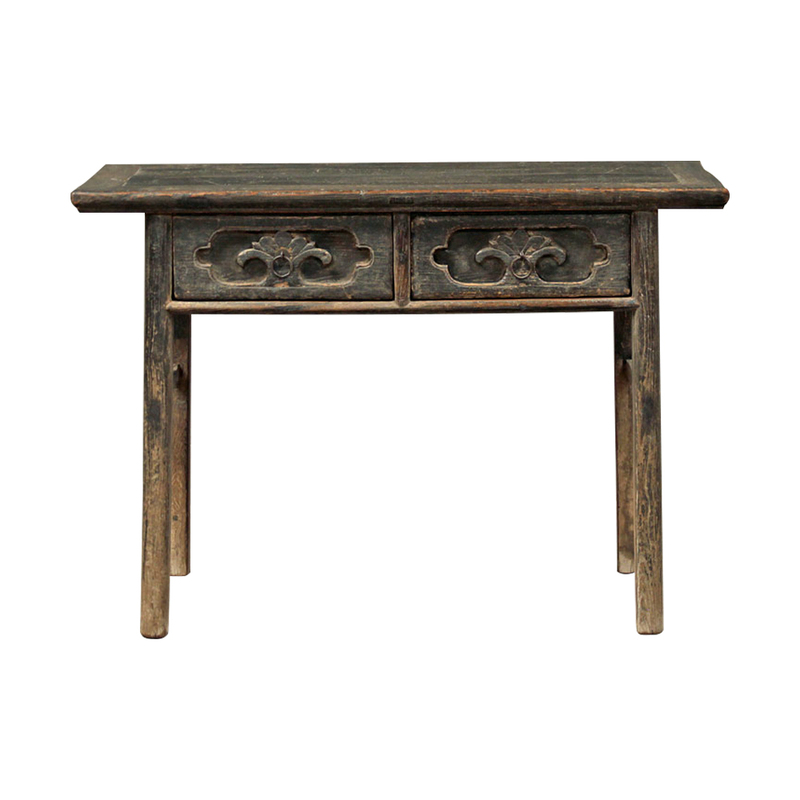 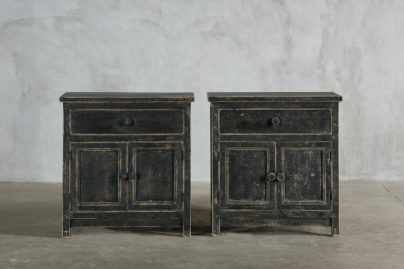 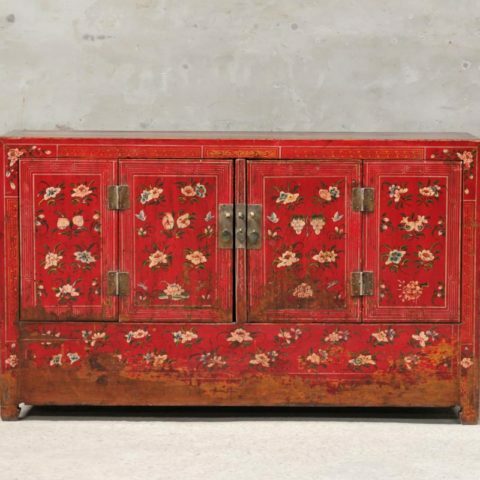 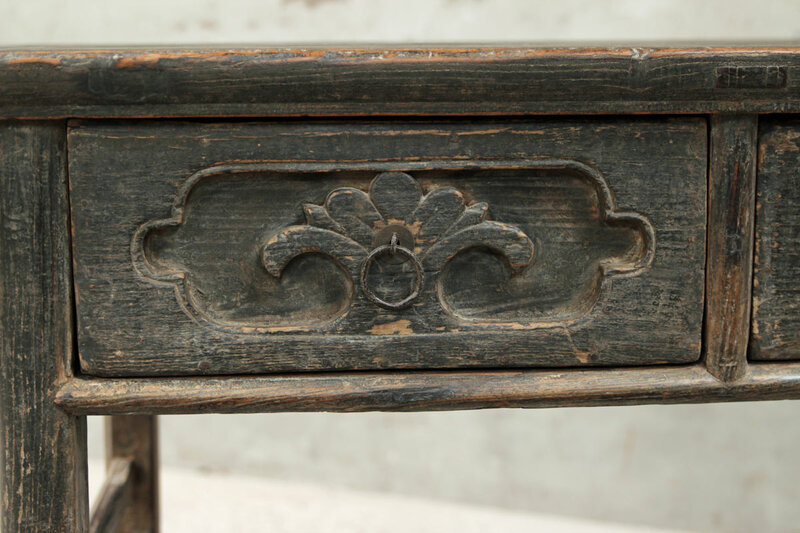 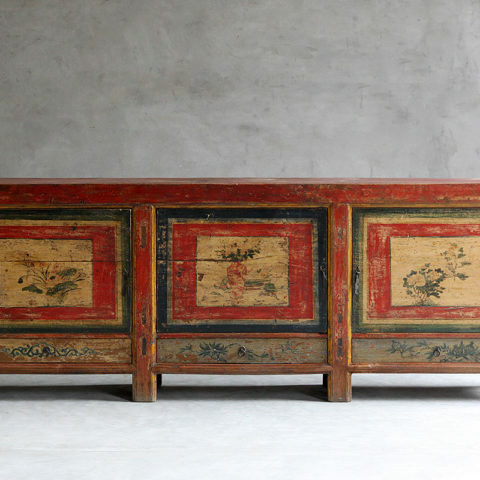 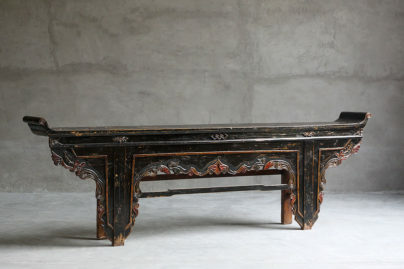 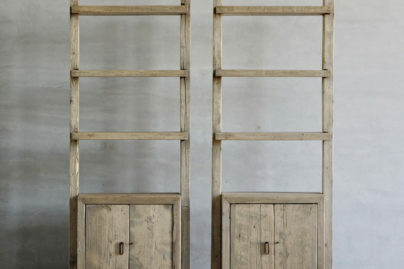 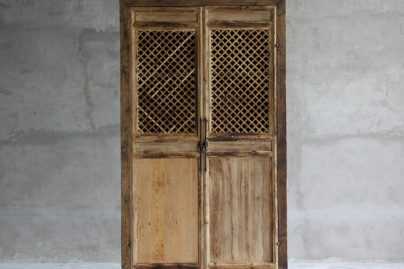 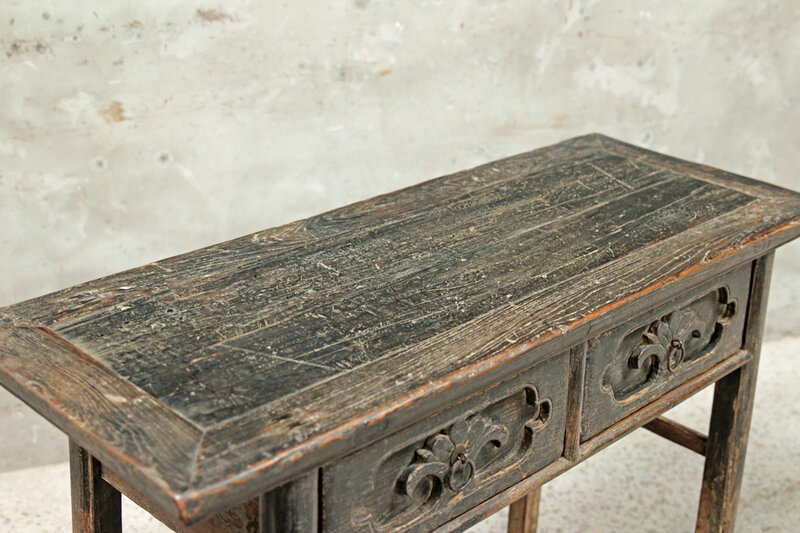 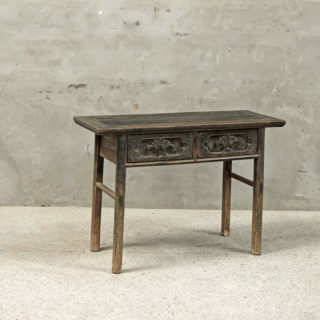 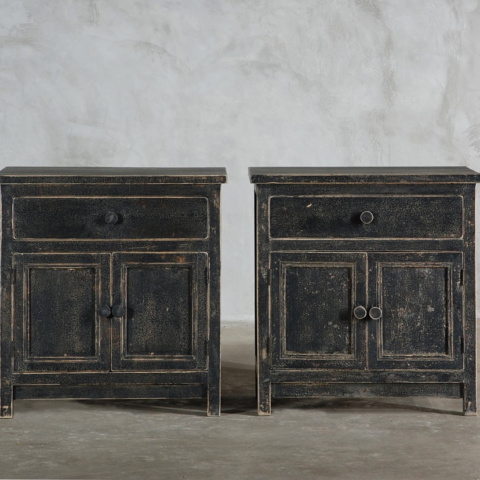 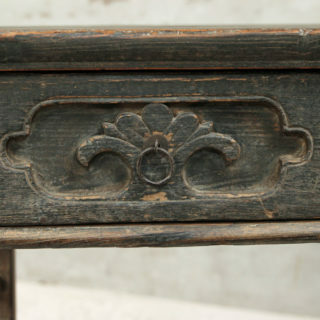 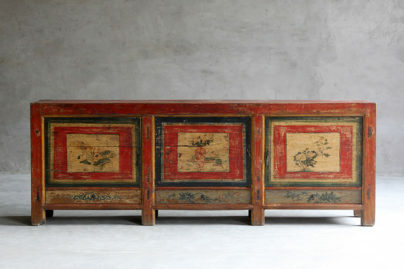 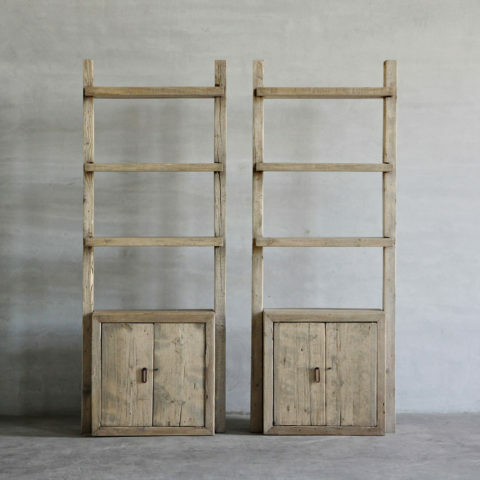 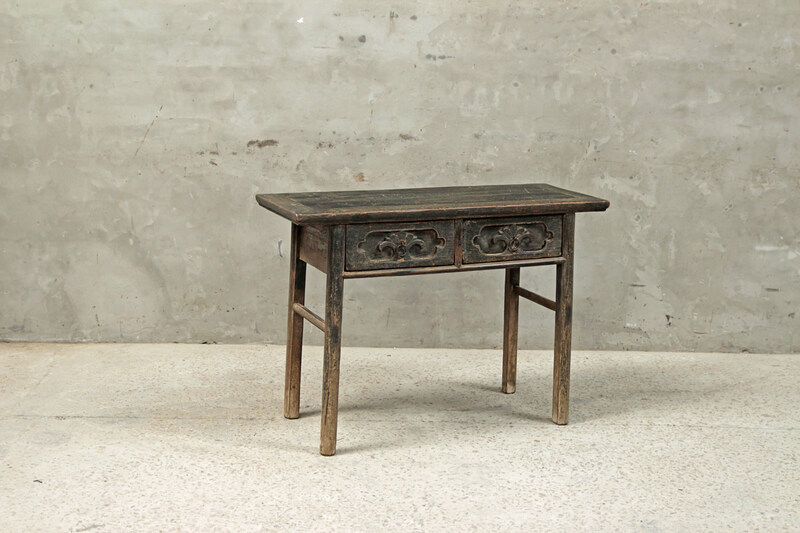 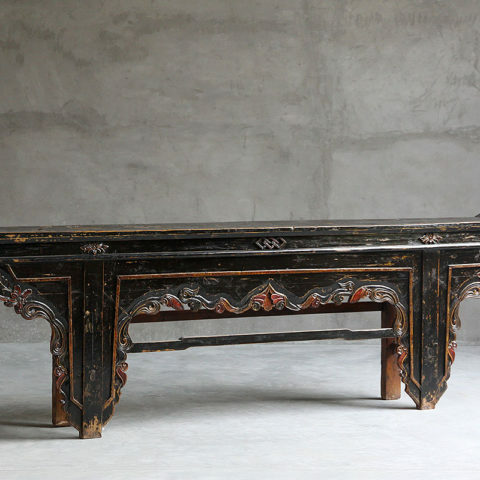 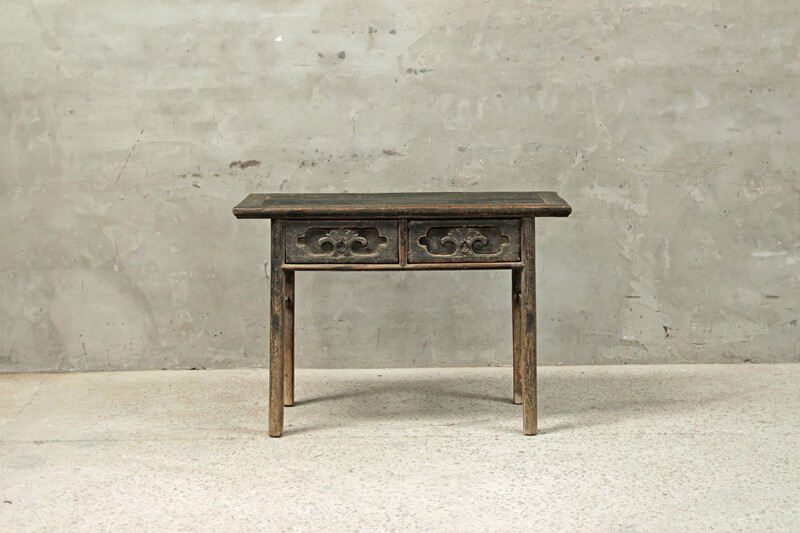 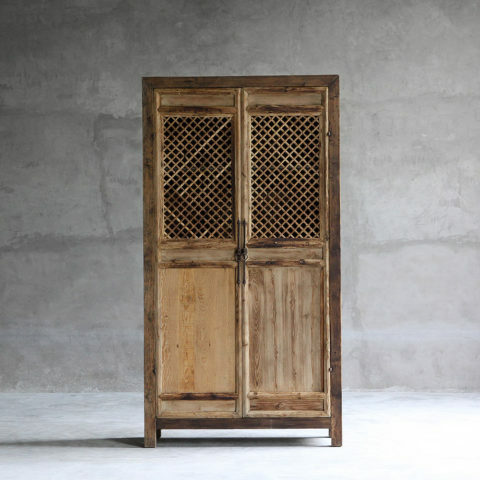 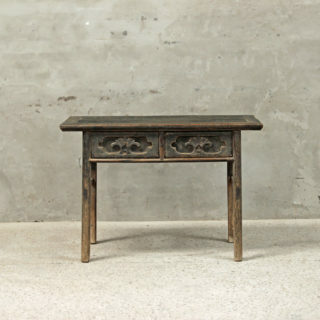 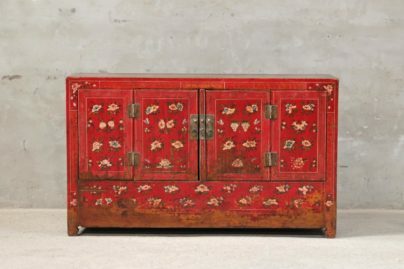 Antique Shanxi table with lotus flower carvings on two drawers. Simple iron drawer pulls. 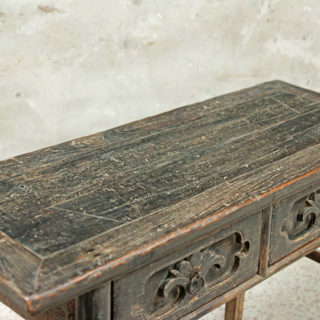 Original black finish is worn and shows age. Piece as shown.